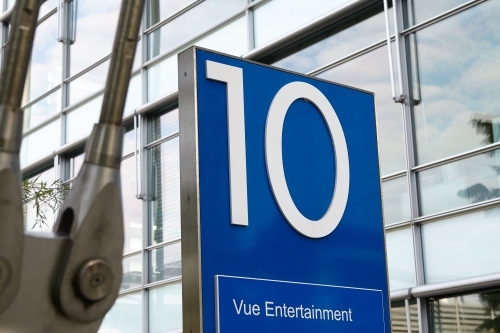 Vue UK & Ireland is part of Vue International, one of the world’s leading cinema operators. From the brands creation in 2003 we have grown rapidly and now have a presence across ten territories, winning numerous awards for both our service and innovation along the way. Our Head Office is based in Chiswick Park, West London. As well as having teams dedicated to supporting the Vue UK & Ireland business, Chiswick Park is also home to our Group function that works across all ten Vue International territories. With 87 sites nationwide the UK & Ireland remains our biggest territory. Ensuring we deliver an unrivalled service across the estate means each and every one of our employees is fundamental to our success, including those ‘behind the scenes’ in Head office. We offer a vibrant, fast paced environment where our employees work tirelessly to look for new ways of working and innovations that ensure we remain widely recognised as a leader in out-of-home entertainment. To find out more about our dedicated UK & Ireland functions and the part they play in delivering the ‘big screen’ experience, click on one of the departments below. The Film team is responsible for ensuring that they get the right mix of films to show at each of our cinemas. For every film release, the team enters into a negotiation with the film distribution company so that they can agree where the film will be played and the financial terms. Once terms are agreed the film team work closely with the cinema management teams to schedule shows at times we believe will meet customer demand. The Finance department in the UK is made up of Management Reporting, Accounts Payable, Compliance, Financial Planning and Analysis, and Audit. The team ensures that Managers across the organisation have the necessary financial data and reports required to help them make effective business decisions and ensures they are fully compliant. Other responsibilities include paying suppliers, managing cash and putting together budgets and forecasts. The Human Resources team works with all cinema and head office teams to create a culture in which high achievers are recognised and those with potential are developed so that we are able to run a successful business. HR are responsible for all aspects of employment from recruiting and developing our people, through to ensuring clear processes and management toolkits are in place so that Employee Relations, Reward, Recognition and Benefits are managed well. They also get involved with various projects helping the business to implement and manage any change and communicate those changes clearly. The Legal team looks after all legal matters ensuring contracts are in place in all areas of the business. This includes new cinema acquisitions, property development, landlord negotiations, performing rights and drinks licensing. They also provide essential legal advice on retail and marketing agreements, IT contracts and Insurance. Experts in commercial law, the advice that this team provides is critical to business decision making. The Marketing team at Vue is involved in all traditional areas of marketing from customer research and analysis through to promotions and advertising. They are also responsible for brand management, customer profiling and the design and content delivery of our corporate website. The Corporate Sales & Conferencing team identifies clients and customers who want to use our cinemas and technology to host specific company conferences/events or personal events. Working in partnership with other entertainment industries also creates opportunities to screen live events such as operas, live concerts, theatrical productions and sporting events to name a few. Delivering excellent standards in customer service is vital to our success and the Customer Services team work closely with all areas of the business to ensure our customers feedback is listened to and action taken to resolve any complaints. At Vue the team sit within Marketing and Corporate Sales. As an expanding business, we are continually looking to build new cinemas. The in-house Property & Development team takes care of the entire development process by finding new sites and transforming them into state-of-the-art multiplexes. They also maintain up-to-date lease and site information and deal with external managing agents and landlords. The Facilities team is responsible for the upkeep and maintenance of our existing property portfolio. The Retail team is responsible for ensuring that each cinema offers the right mix of food, drinks and snacks at the right price, analysing sales data and trialling new products for customers to enjoy. From the familiar popcorn, soft drinks, hot dogs and ice cream to specialty items, the buyers in this team are involved in negotiating supplier terms for all products that are offered in the cinemas. Once all the terms have been agreed, the retail team works closely with the suppliers and cinema management teams to ensure that the right level of stock arrives on time at each cinema, helping to resolve any logistical issues and support every site to meet customer demand. Everything that we do in cinema relies on IT: this ranges from ensuring our customers can find out about film times and either book online to collect at the ATMs or buy at the tills, to making sure technology works for the latest live event or 3D blockbuster. Our Technical Services team make sure that all our systems run smoothly. They also keep an eye on what is the next amazing opportunity in the technology world that would improve the cinema experience. Learn more about our history, who we are and what it’s like to work for us by visiting the Life at Vue.